My bags are packed and I’m ready to go. As ready as I can be. I know you want me to stay, but you always knew I couldn’t stay with you forever. So did I.
We’ve had a wonderful life together, you and me. And my kitty brothers and sisters. And those funny doggies who didn’t know whether to be afraid of me, or play with me. But it’s time. I’m tired and I’m in pain now, and that nasty tasting pain medicine doesn’t help all that much. And I’m having trouble breathing comfortably. It’s even hard to purr. I’m going to miss purring for you. I’m going to miss cuddling with you. I’m going to miss trying to sneak outside when you’re not looking so I can explore the world. But now I’m going to have a huge back yard…and front yard…that I can explore with my friends. I’ll finally get to chase mice and bugs and roll around in the soft grass. And my back won’t hurt. And I can scratch my claws on anything I want! You won’t have to worry about me getting lost, because I’ll always know where I am, and I’ll know when you’re coming to get me and take me with you to your new home. That’s a promise. And kitties don’t break promises. I know you’re sad, and you’re crying, and I’m sad, too. But it’s ok. We both knew this day would come. And once I cross that Bridge, I’m going to be like a little kitten again! And I’m excited to be able to feel good again! So please dry your tears quickly, and remember the fun we had together. We did, didn’t we?! But there will be more to come….it’ll just be awhile. And when we meet again I’ll be able to communicate with you and you’ll understand what I’m saying; we’ll have wonderful talks together. 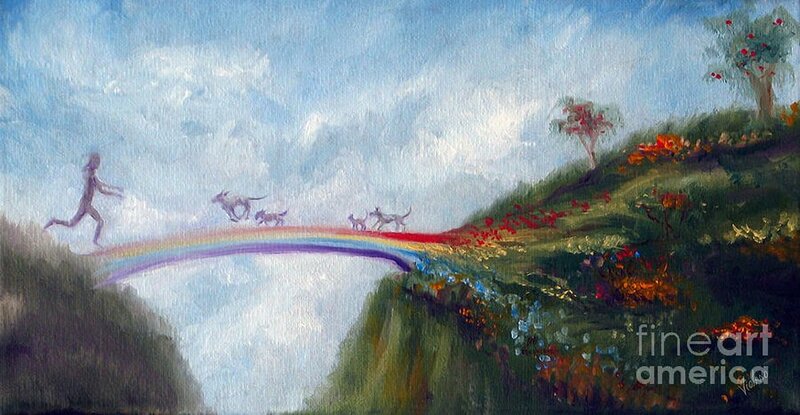 That’s just part of the wonder of the rainbow bridge. I can’t tell you any more about it now, but believe me it’s such a special place. God created it for all of us beloved pets because He wants us to be happy together again. That’s how much He loves you as well as me. 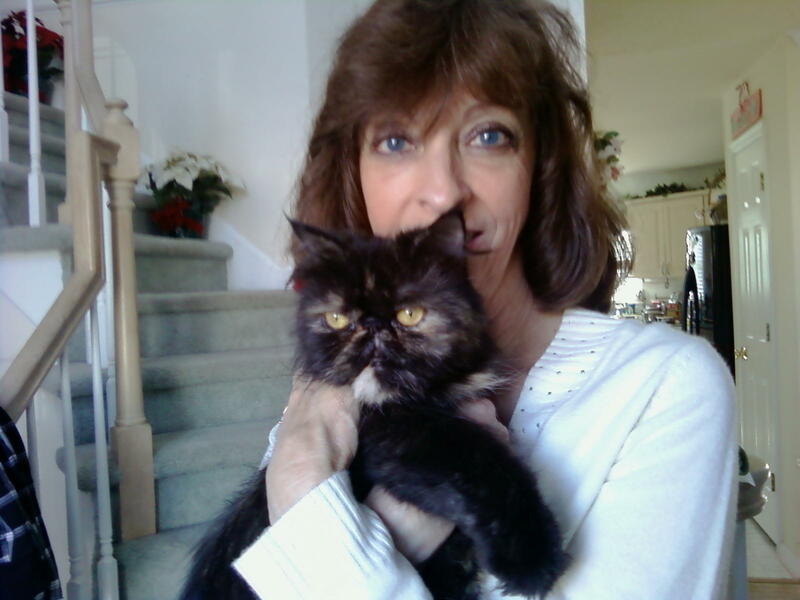 And don’t feel guilty when you get a new kitty that looks like me. It’s ok, because I’ve already put in a request for you, and you’ll love that new kitty just like you loved me. I know you had another one that looked like me before, and I’m sure Mischief will be waiting to greet me, so I can tell her all about what’s been going on with you since she left. And now, let me go. It won’t hurt me. And then I won’t hurt any more. You will for a time, but you’ll understand. It’s going to be ok….Meow!!! Oh, how I understand your thoughts, words, and tears. It’s so hard to let these special “furkids” go, as if we have been promised an eternity here on earth with each of them. Thanks for sharing. There is a time for everything, in due season, we say hello, we say goodbye, and we live on while we have life here!